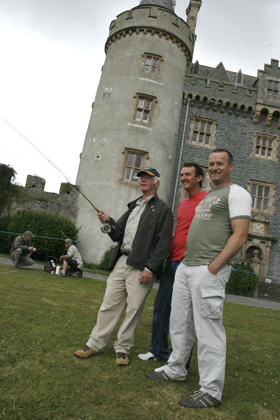 The Irish International Fly Fair (IIFF) is once again all set to provide two days of fun packed information and support for County Down anglers as some of the world’s leading experts in trout conservation, fly-tying and casting descend on Killyleagh for a unique experience on the shores of beautiful Strangford Lough. 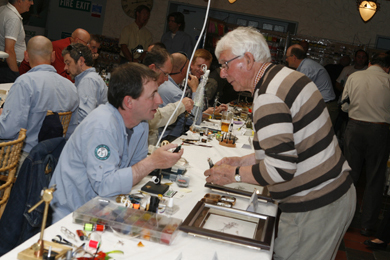 The International Fly Tying Fair in Killeagh draws fly tyers and anglers from far and wide. Derek Martin, IIFF spokesman said: “We are once again delighted to welcome everyone to the International International Fly Fair in Killyleagh on Saturday and Sunday 29-30 June. “This Fair remains Ireland’s first and only ‘not for profit’ Fly Fishing Fair and we welcome back old friends and look forward to meeting new ones. 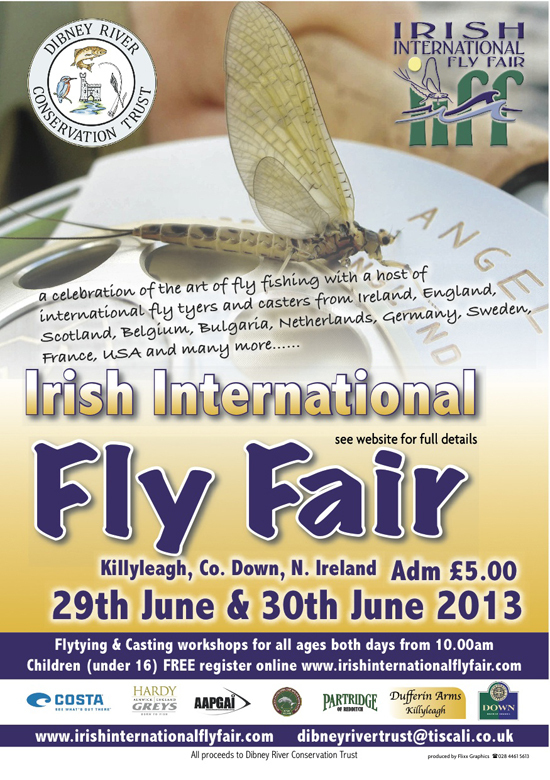 The current fly fair evolved from the original very successful Killyleagh Fly Fair and it is now in its sixth year. “Our unique fly fair is set in the stunning village of Killyleagh and utilising the banqueting hall of what was historically a Coaching Inn, and also the old stunning Killyleagh Castle as its two main venues. This setting places our ‘fair’ in a league of its own with a warm village welcome and great hospitality. Where would you get it? There will be plenty of ‘craic’ over the two days for everyone interested in angling and conservation. “While the IIFF is mainly about Fly Fishing and takes in all aspects of the sport, it lays an important emphasis on conservation with the Trust’s overall aim being the promotion of natural Sea Trout spawning in the Dibney River. Consequently, we wish to enhanceme the native stock in Strangford Lough. The IIFF is a essentially a platform for the discussion of a wide variety of conservation issues, one key one being our opposition to artificial hatcheries and Salmon Farms around Ireland. 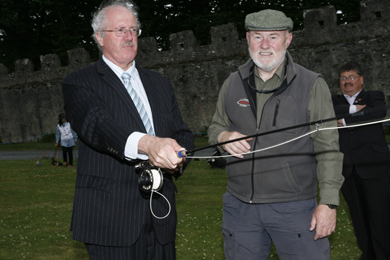 Derrygonnelly Fly fishing instructor Jim Hoy demonstrates his skills to Paul McCardle and Gary McCarthy. With so much going on around Ireland and the British Isles in various developments in fish farms, wild salmon and sea trout harvesting with nets, and pollution issues affecting rivers mainly, and international debates on the welfare of salmon and sea trout, you can come along and listen to the scientists as they discuss the problems facing the native Irish salmon, sea trout and brown trout. Illtyd Griffiths, right, AAPGAI instructor, pictured with Strangford MP Jim Shannon, a country sports enthusiast and who has officially opened the fair in previous years. You can have your say in an open floor question time included in each session and represent your club and get advice on your river or still-water lake. Leading the discussion on NEWS will be fish biologists Dr Ken Whelan and Dr Robert Rossel. In the Question and Answer Session, any clubs, fisheries, anglers, conservationists etc can join in. The Afternoon Talk Forum will be in the Marquee in the Killyleagh Castle Grounds with Paddy Keenan giving an NSN presentation, and the Talks Forum in the Marquee will include AAPGAI Master Glyn Freeman , AAPGAI Master Steve Peterson Double handed Demos, AIRFLOW Pro Gary Bell, and Shooting Heads. There will be much more on the Festival noticeboard. 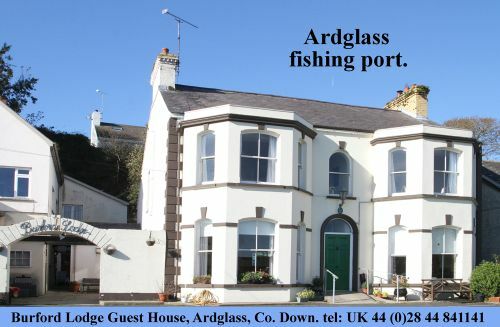 This will be a fun packed two days in Killyleagh – a Mecca fro anglers on Saturday and Sunday 29-30 June starting at 10am.